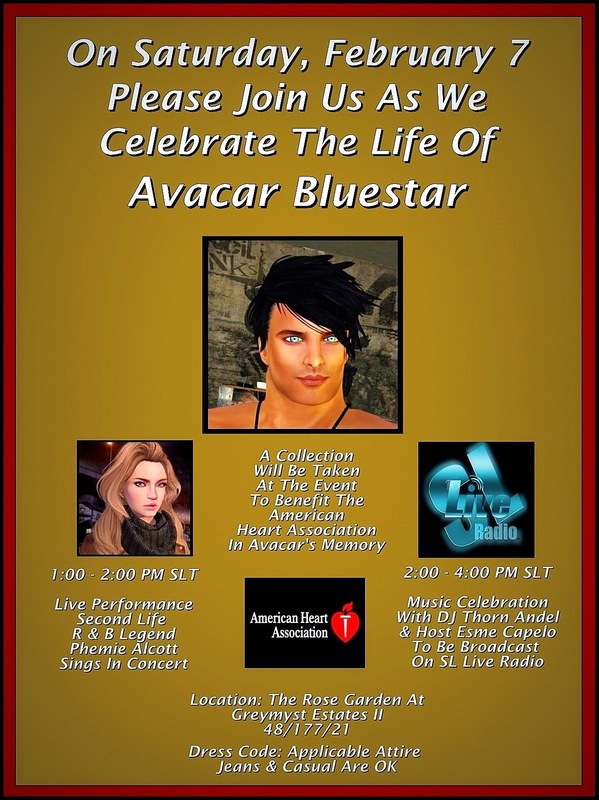 Here is the new poster for the Celebration of Avacar Bluestar's Life event to be held next Saturday at the Rose Garden at Greymyst Estates II beginning at 1:00 PM SLT. I will be posting a landmark here on Thursday evening to the event. Any help in publicizing the event would be appreciated. Ricogenu and Avacar's Second Life family are looking forward to seeing you at the event.